The largest city in Portugal, Lisbon is also the capital with about 2.8 million people living in the Lisbon Metropolitan Area alone. Recognized for the important role it plays in Portugal’s entertainment, finance, arts, and tourism industry, Lisbon is one of the oldest cities in the world. Affectionately known as the Golden Gate’s twin sister, the 25 de Abril Bridge strongly resembles the iconic Golden Gate Bridge in San Francisco. It was built in 1966 and named after Salazar, but the name was changed soon after the revolution in 1974. 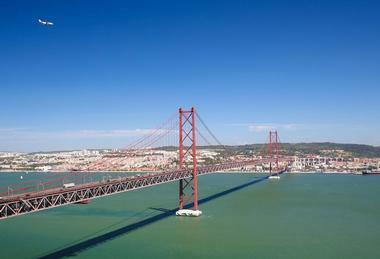 Visitors can best see the beauty of the 25 de Abril Bridge and the Tagus River, which it is suspended over from Doca de Santo Amaro. It is also recommended to get up close to the bridge, as there is a marina and dock underneath it. Numerous bars and restaurants can also be found underneath the 3,323-foot span of the bridge. A shopper’s haven, the Avenida da Liberdade brings the world’s most famous fashion brands to one magnificent boulevard. Haute couture such as Emporio Armani, Burberry, Escada, Gucci, Hugo Boss, Lacoste, Michael Kors, Louis Vuitton, and Timberland offer visitors the latest designer goodies whether they’re in the mood for clothes, shoes, purses, accessories, or more. Other than shopping, visitors will also find a range of prestigious hotels where they can stay, dine, or just unwind, including Heritage Av Liberdade and the Four Seasons Hotel Ritz Lisbon. Avenida da Liberdade is more than designer boutiques and five-star hotels; it is also home to theatres, cafes, and architectural wonders and mansions grace the boulevard. 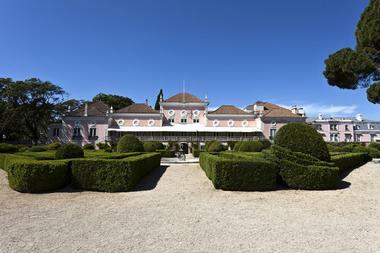 Portugal’s presidents have resided at Belem Palace for over a hundred years. Resting on a gently sloped hill surrounded by stunning gardens, the palace was built in 1559. Many kings have made restorations and alterations along the way, including a major developments made by King João V in the 18th century. Visitors can explore the beautiful carvings and the richly furnished halls of the palace. There are many works of art to appreciate as well, and they range from paintings to statues. The Presidency Museum is open to visitors every day of the week except Mondays, and visitors can see an expansive collection of items portraying the country’s history, politics, and landscapes. 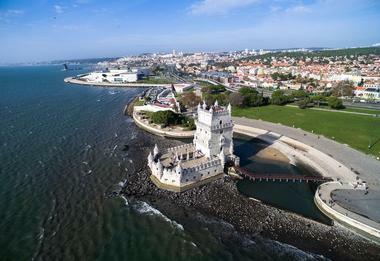 Belém Tower, also known as the Tower of St. Vincent or the Torre de Belém, is a fortified tower in Santa Maria de Belém’s civil parish. The tower was built in the early 16th century and meant to be a ceremonial gateway to Lisbon as well as part of Portugal’s defense system as commissioned by King John II. It has since then been listed as a UNESCO World Heritage Site and provides visitors with a great example of the Portuguese Manueline style. Other aspects of the four story tower that visitors would appreciate are the lioz limestone the structure is built from and the bastion. There are many artists who have contributed to Portugal’s art and culture history, and the Berardo Collection Museum hosts works from many of them. Also called the Museo Colecção Berardo, the museum is filled with modern and contemporary art for visitors to explore and appreciate. The amazing permanent collection as well as the array of visiting temporary exhibitions offers something that every visitor would be enthralled by, and the works portray the diverse backgrounds that the artists come from. There are activities for visitors of all ages, including tours of the exhibits, art workshops, and other entertaining and educational programs. 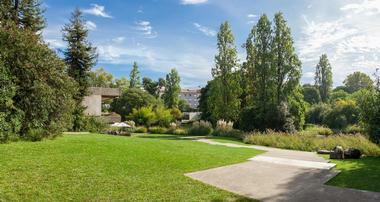 From Egyptian and Greco-Roman art to Eastern Islamic and Armenian art, the Calouste Gulbenkian Museum is filled with some of the most amazing pieces worldwide. Exhibits cover various locations and periods, and people come from all over the world to see the stunning artifacts that are separated by the Founder’s Collection and the Modern Collection. The wide-ranging collection includes pieces such as a beautiful armoire by André-Charles Boulle circa 1700 and an illuminated bible from Istanbul circa 1623 that illustrates events such as the creation of Adam and Eve. The collection varies so much that all types of visitors will find something that they enjoy, no matter their age or interest. At one point Carmo Convent was the largest church in Lisbon; one of the original aspects includes a stone engraved at the entrance of the museum with Gothic lettering that says that Pope Clement VII granted faithful Christians who visit the church 40 days of indulgence. Now, visitors come across a version of the church that is devastatingly beautiful, as it has no roof and the arches caved to rubble in the 1755 earthquake. Visitors will enjoy exploring the archaeological museum housed in what used to be the main altar as it’s filled with mosaics, ceramics, shrunken heads, 13th century coins, and an eclectic collection of tombs. Originally a church, the Church of Santa Engracia, or Igreja de Santa Engrácia, was built in the 17th century. 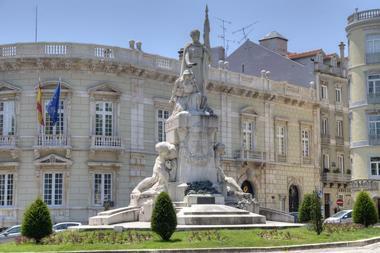 In 1916, it was converted to a national pantheon where important Portuguese personalities have been buried. Visitors can visit the burial sites of Presidents of the Republic such as Teófilo Braga, Óscar Carmona, and Manuel de Arriaga and writers such as Aquilino Ribeiro and João de Deus. Architecture aficionados will love the ingenious design of the church with its stunning baroque portal at the entrance and its high dome that wasn’t completed until the 20th century. A unique feature visitors should look out for is the 18th-century baroque organ brought from Lisbon Cathedral. The award-winning Cultural Centre of Belem is home to the Berardo Museum, considered one of Lisbon’s best attractions at no cost to visitors. 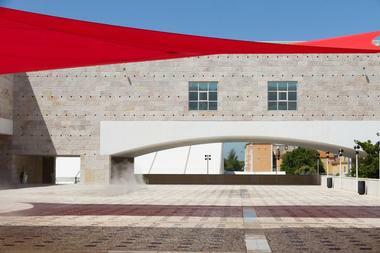 The center was originally built for the European presidency that Portugal hosted during the 1992 term, but it is now a massive complex for conferences, exhibitions, and the performing arts. Touring ballets, operas, symphonies, concerts, and art displays are held at the center all year long. Additionally, the Cultural Centre of Belem also hosts political and research congresses in its high-security meeting halls. Visitors can explore the museum, catch one of the many events, or browse the stores, restaurants, and bars on site. The Igreja de São Domingos, or the Church of São Domingos, has an extremely interesting history and is either considered cursed or blessed depending on who you ask. 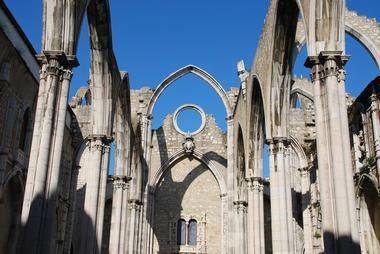 Built in 1241, it was once the largest church in all of Lisbon. It was also formerly the home of the Inquisition and hosted royal weddings and other events. The church was slightly damaged in an earthquake in 1531, completely destroyed by an earthquake in 1755, and was incinerated in a six-hour long fire in 1959. Sadly, the fire destroyed many of the historic statues and paintings that were housed there, and even after its restoration in 1994, visitors can still see evidence of the church’s destructive past within its architecture and decor. Jesuits Filippo Terzi, the same architect behind the São Vicente, was commissioned by Jesuits to build this Renaissance church in 1574. Contradicting its plain exterior, the church is stunning and impressive within, housing a painted wood ceiling, eight side chapels full of Baroque art, and a museum with a large collection of Baroque silver and paintings from the 16th century. The church is famed for one particular chapel: an 18th-century Chapel of St. John the Baptist by Luigi Vanvitelli that was commissioned in 1741 and assembled in Rome. Visitors can also explore valuable sacred relics the church is said to have such as a piece of wood from Jesus’ crib and a thorn from the crown of thorns. 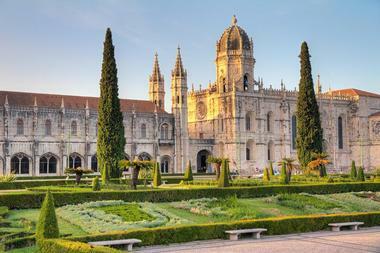 Jeronimos Monastery, also known as Mosteiro dos Jerónimos or Hieronymites Monastery, is a church and monastery symbolizing the Portuguese Age of Discovery. The monastery, which was classified a UNESCO World Heritage Site in 1983, is dedicated to the Order of Saint Jerome. Visitors will be exploring a place of historic significance, as many important events have taken place within its walls, including the formal ceremonies when Portugal joined the European Economic Community, the art exhibition ‘Four Centuries of Paintings’ and ‘Leonardo da Vinci: A Man at the World’s Scale, A World at the Scale of Man,’ and the signing of the Treaty of Lisbon. 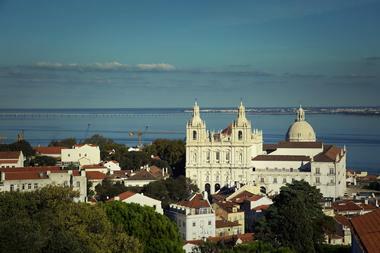 After it was completely destroyed in the 1755 Lisbon earthquake, the Baixa district was rebuilt from the ground up. 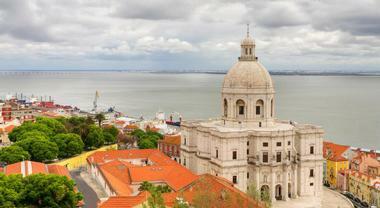 It is now the heart and soul of Lisbon – a central downtown area that attracts travelers of all ages and interests. The magnificent plazas are interconnected with avenues filled with stunning 18th-century architecture, amazing star-class hotels, and award winning restaurants and cafes. Lisbon visitors will definitely stop over in Baixa, and it’s sure to be one of the most memorable aspects of their vacation – there are tons of fun tourist sites that show a side of Portugal not seen anywhere else. 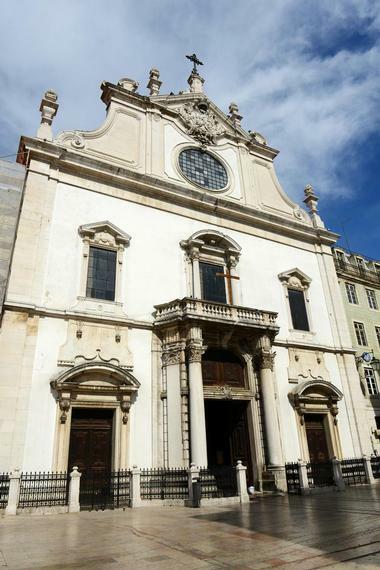 Sometimes called the Santa Maria Maior de Lisboa or the Patriarchal Cathedral of Saint Mary Major, the Lisbon Cathedral is Lisbon’s oldest place of worship. Since it was constructed and then renovated and restored many times throughout history, visitors will come across many different styles of architecture in various parts of the cathedral, including Baroque, Romanesque, Neoclassical, and Gothic. 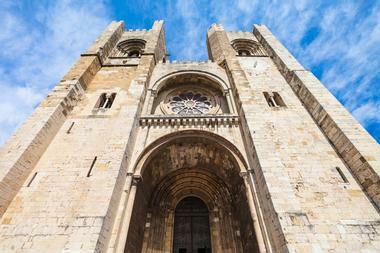 Combined, visitors will find that the Lisbon Cathedral has a medieval vibe that is worthy of exploring thoroughly. There are also many elements and antiquities of the church that date back to its original construction in the mid-12th century by Portugal’s first king, Afonso Henriques. The Lisbon Oceanarium, or Oceanário de Lisboa as it is locally known, is one of the most popular attractions in all of Portugal. It was opened in 1998 during the world exhibition “The Oceans, A Heritage for the Future.” The oceanarium consists of four main habitats that integrate into one large aquarium – or a sole ocean if you will. Within this ocean, which is made of over five million liters of seawater, visitors can explore marine and terrestrial ecosystems with a range of plants and animals in their natural habitat. 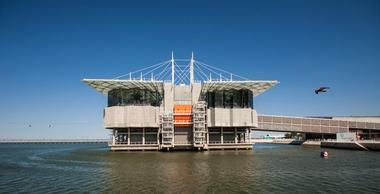 Over a million people visit the Lisbon Oceanarium annually, and the aquarium is recognized as one of the best in the world. Visitors can kiss a sea lion in California, feel the scaly skin of a snake in Cuba, or watch the elephants at the watering hole in Africa, all without ever leaving Lisbon, Portugal. 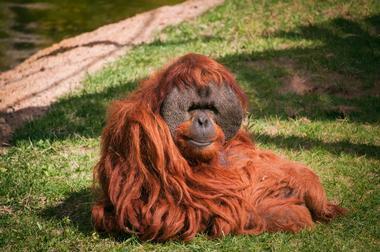 The Lisbon Zoo, or Jardim Zoologico, sets the pace for an unforgettable day in the heart of Lisbon. Visitors of all ages will love all of the exhibits, activities, and other fun shows that can be found throughout the zoo. The zoo goes beyond what you would expect and also offers a spectacular cable car ride as well as a train ride that goes around the zoo. 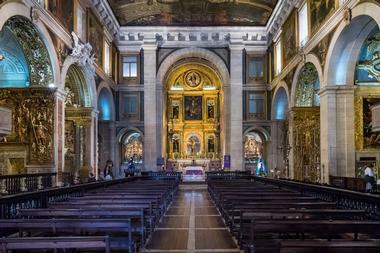 A monastery and church in the heart of Lisbon, the Monastery of Sao Vicente de Fora contains the royal pantheon of the Braganza monarchs. The church was built in 1582 and commissioned by then King Afonso Henriques who vowed to build churches on battle sites. Throughout the years, the original structure of the church had been destroyed, namely during the 1755 earthquake when the roof and main dome collapsed. There are a series of tiled panels on the interior that illustrate scenes from LaFontaine’s Fables. 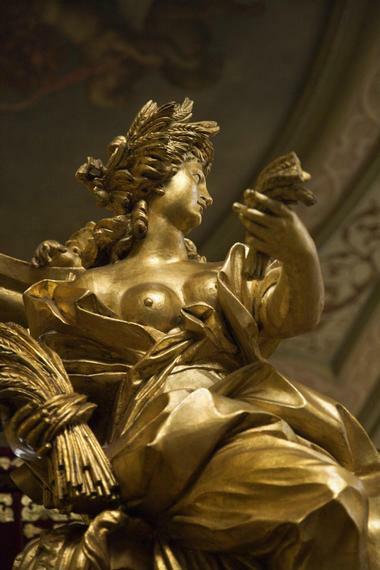 Other than that, visitors will also enjoy exploring the many statues and paintings that can be found inside. Coaches played a large part in Portugal’s royal history, as it did with many other European royal families. The National Coach Museum, or Museu Nacional dos Coches, is one of the most visited sights in Lisbon and has the largest and most valuable collection of coaches in the world. 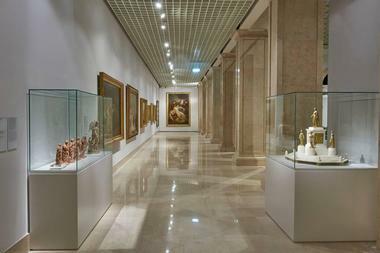 The museum opened in 1905 as part of Belem Palace and then moved to the current facility over 100 years later. The new building, which was Pritzker Prize winning architect Paulo Mendes da Rocha designed, now accommodates not only the coaches but additional carriages and accessories that weren't on display earlier. Visitors will enjoy the beauty of the items on display, especially the coaches belonging to royal families or ones designed for and used by Queen Elizabeth II. The National Museum of Ancient Art was established in 1884 and has grown to become one of the most important public collections of art in Portugal. There are over 40,000 items that have been collected over the years, including silverware and gold, paintings and sculptures, and pieces from the Far East, Africa, and Europe, many of which have been classified as national treasures. Visitors are invited to explore the various exhibitions and the exquisite works that can be found within them. They’ll definitely get a better understanding of Portugal’s past and the treasures that came from them. 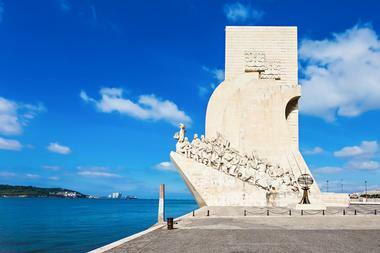 The Padrão do Descobrimentos, or the Monument to the Discoveries, was originally created in 1940 by sculptor Leopoldo de Almeida and Cottinelli Telmo as part of the Portuguese World Exhibition. It was built with perishable items and had to be reconstructed in 1960, but this time using concrete and stone masonry instead of light iron and cement. Visitors can see the amazing sculptures that were carved out of Sinatra limestone masonry. The carvings are of important cultural figures ranging from navigators and cartographers to colonizers and artists. During its inauguration in 1960, fourteen nations sent 32 ships to the nearing shores to pay their respects – visitors will love learning little tidbits and other facts when visiting the Monument to the Discoveries. 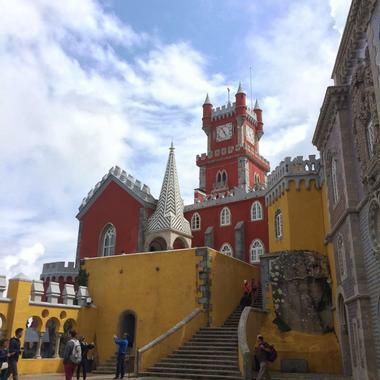 The Palace of Ajuda was initially supposed to be built as the summer residence for King John V. He never got around to it, and instead King Jose I built the royal palace after the 1755 earthquake destroyed the Palace Public Square and the Ribeira Palace. Visitors will love seeing the neoclassical style of the palace as laid by architects José da Costa e Silva and Francisco Xavier Fabri. Just walking through the halls of the palace will take visitors back in time to when the monarch held royal balls and several other ceremonies. The palace is now home to a museum with many artifacts from the 15th to the 20th century, many of which were decor from the official ceremonies once held there. A Vida Portuguesa is a charming Portuguese artisan shop in Chiado, originally opened in 2007 by journalist Catarina Portas. 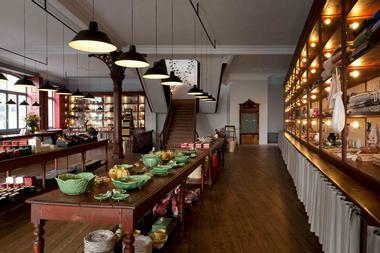 The acclaimed store, which has been featured in Time Out Lisbon, has since grown to offer three locations, including outposts in Porto and Lisbon. Classic Portuguese artisan and home goods are sold at the store, ranging from kitchenware and stationery to craft beer and floor waxes, striving to create a visual inventory of the country's most time-tested and beloved artisan brands and goods and highlight the country's manufacturing output on the world stage. Many goods are packaged in beautiful custom wrappings and boxes, making purchases perfect ready-made souvenirs for tourists to take home to loved ones. 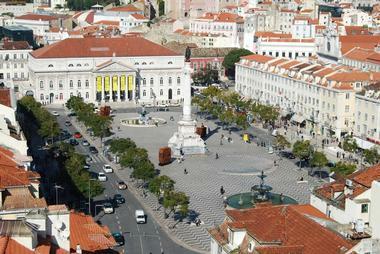 The Praca do Comercio is often referred to as the Terreiro do Paco, Commerce Square, or Palace Yard. 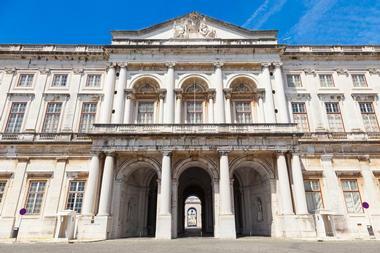 Situated near Tagus River, visitors will walk amongst what was once the Royal Ribeira Palace. The palace was destroyed during the 1755 Lisbon earthquake and was completely remodeled when Pombaline Downtown was rebuilt. The land that Praca do Comercio is laid out on was once a popular site where traders from around the world would come together and sell their foreign wares. This is one of the grandest squares found in Lisbon, and visitors enjoy seeing the traditional buildings and statues in the area. One of the liveliest squares in Lisbon, Rossio Square is the perfect spot to stop, sit, relax, and take in all of Lisbon’s beauty. There are many cafes in the square, some of which have outdoor seating and make it a wonderful spot for people watching and enjoying the pleasant Portugal weather; one of the popular cafes that visitors enjoy is the art deco style Cafe Nicola. 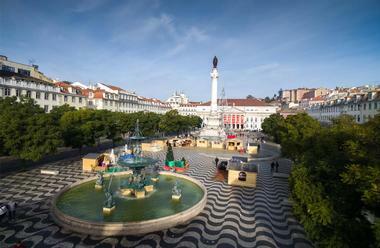 There are many aspects of the square that visitors, especially architecture lovers, will enjoy, including the large baroque fountains, the cobblestone pavement in a wave pattern, the Dona Maria II National Theater, and a statue of the playwright Gil Vicente. During the 18th and 19th century, the royal court really began to transform in terms of their taste and style in architecture, decor, art, etc. 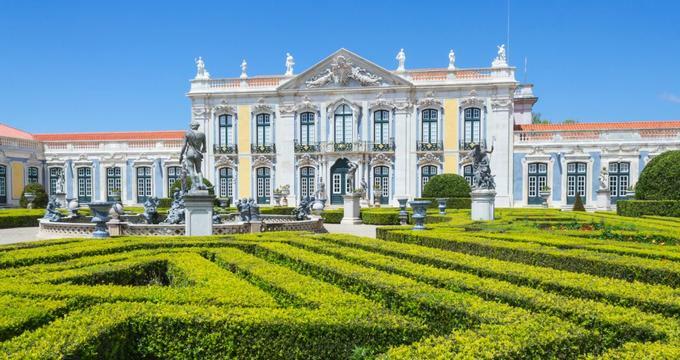 The National Palace of Queluz and its surrounding historical gardens illustrate the perfect example of the various styles such as rococo, baroque, and neoclassicism. The palatial architecture of Quelez was built in 1948 and was initially a summer residence for the royal family of Dom Pedro of Braganza. Out of all of the architecturally significant sites visitors will come across in Portugal, the Palace of Queluz is one of the more important, as it displays one of the last rococo buildings that was designed in all of Europe.